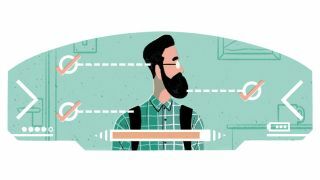 We all know the design industry is a competitive one and with fewer entry-level jobs available, having a killer design portfolio is not enough to land that dream job. Here, top designers reveal the skills you need to get one foot through that proverbial creative door. "Stand out by being eager, passionate, hard-working, friendly and open to learning," urges BMB head of art Louise Sloper. "Make sure you understand the industry. Always spell-check. Network like crazy. Raw talent is a must, but these things go further than you may think. Find a striking way to be noticed. Be relevant, but unconventional. It’s tough out there, so, above all, believe in yourself."